Robert Mueller may be too stupid to realize how bad Cohen makes him look. 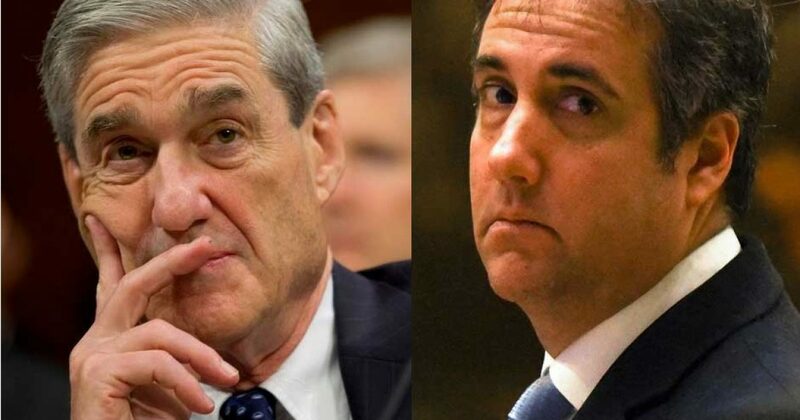 I’m amazed that Mueller continues to use Cohen to go after President Trump. Talk about having a real “tool” in your toolbox. Cohen was set to testify against Trump in February, but now he’s delaying it. The reason is laughable. President Donald Trump’s former personal lawyer and fixer, Michael Cohen, on Wednesday postponed his plan to testify before Congress in February because of concerns about his family’s safety, Cohen’s adviser Lanny Davis said. Davis cited “ongoing threats” to Cohen’s family from Trump and the president’s current personal attorney, Rudy Giuliani, in the decision to delay his appearance before the House Oversight and Reform Committee, where he was expected to talk at length about the president. That voluntary Feb. 7 appearance is a month before Cohen is due to begin serving a three-year prison sentence for multiple crimes, some of which relate to Trump. It is now not clear when — or even if — Cohen would be willing or able to testify anytime soon, given that looming sentence. What’s changed to make Cohen unwilling or unable to testify as NBC reports? Absolutely nothing. And speaking of nothing, that’s exactly what Cohen offers in his proposed testimony. In other words, when it comes to Cohen’s testimony, the dog ate his homework. 6. It’s that “time of the month”: If you’re a boy, don’t try this. This only works for females on male teachers. Number 10 is my favorite, and one Cohen dare not use. 10. Tell the truth: This is a revolutionary excuse. Often if you just go to your teacher in the morning and tell him or her the truth, you’ll get some additional time. Mueller’s targeting of Cohen was unwarranted. But Cohen’s behavior since hasn’t helped either man. Just how much more ridiculous can things get? The pre-dawn raid of Roger Stone provides some insights. Because this raid was a monumental screw up of 2016 President Election loss proportion. Why? The public won’t buy it. So, Roger Stone is a nobody in the Trump-Russian collusion story. But Cohen represented the best way to get Trump and that’s failed now three times. Mueller tries his best, but his desperation shows like Rosie O’Donnell’s five o’clock shadow.